Wood has been used in making floors for centuries, and nothing competes with the class, durability and aesthetic of a good wooden floor. However, even the most durable wood flooring needs maintenance, and whether your floors happen to be in a residential building or a place of business, we can certainly assist you. Our expert service for floor sanding in Chelsea SW3 is suitable for all types of wooden floors – soft or hardwood, parquet or floor boards. Always select excellence for your flooring. 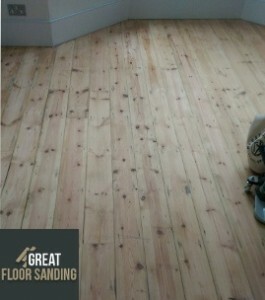 What Our Wood Floor Sanding for Chelsea SW3 Looks Like? The actual procedure doesn’t just strip and even-out the wood. The five-star Chelsea wood floor sanding we provide demands preparation and takes several steps to be successfully carried out. You can see a short guide with all the steps listed. Repair and Restoration: This is preparation for the actual sanding, where damaged boards are completely replaced, loose ones are secured and nails are pinched. Gap Filling: We seal the gaps in the floor with organic materials. Floor Sanding: The sanding is efficient and takes no time to remove the years from your wood. Staining: This step is optional if you want your floor to have a specific color. Finish: The final step in the sanding process is one that seals your floor from scratches, water, and stains for years ahead. Why Our Chelsea Floor Sanding is the Right Choice for Your Floors? To upkeep: The new finish protects the floors from just about everything and allows to be cleaned without effort. On the Eye: Precise sanding and excellent sealing transform your wooden floors into a thing of beauty. To Sell: Invest in your wooden floors and your property value sky-rockets. To Preserve: The professional finish ensures the wooden material is preserved and your floors can look brand new for decades. Years in the field of floor sanding in Chelsea have strengthened the performance, and all members of the teams have been BONA certified – the greatest testament to our experience and capabilities. Your floors are in the safest hands with the latest equipment and high-grade organic materials for filling out the gaps and sealing your floor. You return to your property to even floors and no sign of sawdust in the process. Efficiency, quality, and cleanliness. This is what you order with us as your wood floor sanding company. The procedure to schedule one of your teams for wood floor sanding is easy. Call 020 3404 9697 now and tell us your address and what type of floor you have. The team arrives for a viewing that ends. You can do this any time of the way. We serve residents, institutions and companies alike from Monday to Sunday, bank and national holidays included. You also have the option to make changes to your appointment up to 24 hours before arrival, and you can reach us via the Internet using our contact form and chat facility. © 2014 - 2019. Great Floor Sanding. All Rights Reserved.